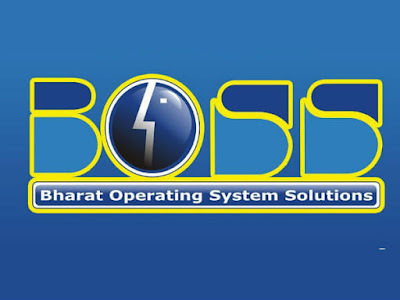 Indian Government's New Operating System "BOSS" To Replace Microsoft Windows. Due to innumberable attacks by Chinese hackers on various government websites and the following snowden revelation, Indian Government has taken an important step towards having its own Operating System with that it plans to replace all other OSs including Microsoft Windows, with a different operating system BOSS (Bharat Operating System Solutions). A new highly improved version of BOSS developed by C-DAC (Centre for Development of Advanced Computing) Pune-based organisation. The new and updated operating system, BOSS OS will replace all other operating systems available in the market and will be made available by this month end- said by an official of Indian Government. Various other organisation like Gujarat Technological University (GTU), Defence Research and Development Organisation (DRDO), etc. were also involved in the development of new OS, which can support all major Indian languages. During its three-month preliminary testing, the new version of operating system BOSS has successfully defended cyber-attacks from varied attackers, which also include malicious attacks planted by Indian Cyber Army itself for testing. Success in the preliminary tests makes BOSS fully fit for secure network, which is demanded by Indian Government for its security, integrity & confidentiality of its data. The Snowden reports on NSA revealed that India was among the most scrutinised nation by the US intelligence agencies NSA. While Various other countries like China started carrying out Research & Development on Smart dust, Nano technologies and Al, India still lags behind by far. However, the new OS can help India take care of both the individual computer as well as the networking. The latest version of BOSS, which will be released soon is code-named ‘Anoop’ and will be the successor of its previous version BOSS 5.0 aka as ‘Anokha’. This new & updated operating system will be packed with 3.14 GNOME and desktop environment ver. 3.4. It'll be featured with the latest kernel 3.16 & can support Intel’s 64-bit/32-bit architecture, & also 32-bit Intel GPU in addition with support for 3D desktop and various other features. The new version of BOSS will be having an on-screen keyboard, which can support all major languages of India such as Assamese, Bengali, Bodo, Gujarati, Hindi, Kannada, Kashmiri, Konkani, Maithili, Malayalam, Manipuri, Marathi, Odia, Punjabi, Tamil etc. C-DAC has enclosed some other features like E-speak, Ocra Screen Reader, Unicode 7 and Magnifier, these extra features are imposed for visually damaged people so that they can use the system effectively . With this new BOSS OS, Indian Government are additionally launching next version of OS known as EduBOSS, which is mainly intended for teachers and students & will be having all the necessary educational tools and apps required by students of primary, secondary and higher levels.